The DS-1000 is a PC-based digital storage oscilloscope (DSO) with various functions, in pocket size. It is designed to support analog signals measurement and to store the data easily. 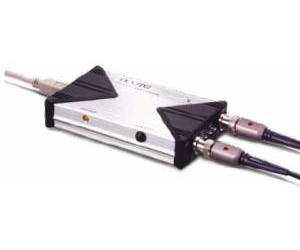 Its portability allows engineers to enjoy their presentation with great convenience and confidence.